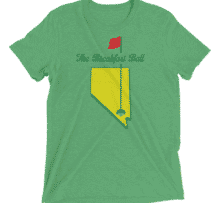 Growing up playing this sport, my father always told me to carry a couple of tees and a quarter in my pocket. The theory was, he didn’t want me slowing down his pace having to run back to the cart on the tee box for a tee. He certainly didn’t want me not to be able to mark my ball on the green (most likely cause I would be in the way). Now I don’t start this blog post with the impression that I grew up in the day of knickers and hickory shafts, but we are still talking about 15-18 years ago. As I grew into the sport, it was common practice to look for ball markers or divot tools while on vacation at a resort course. Or sometimes my father would come home from a business trip and have a couple of trinkets for me from the pro shop. These items were always more heartfelt than valuable by a long shot but still cool nonetheless. 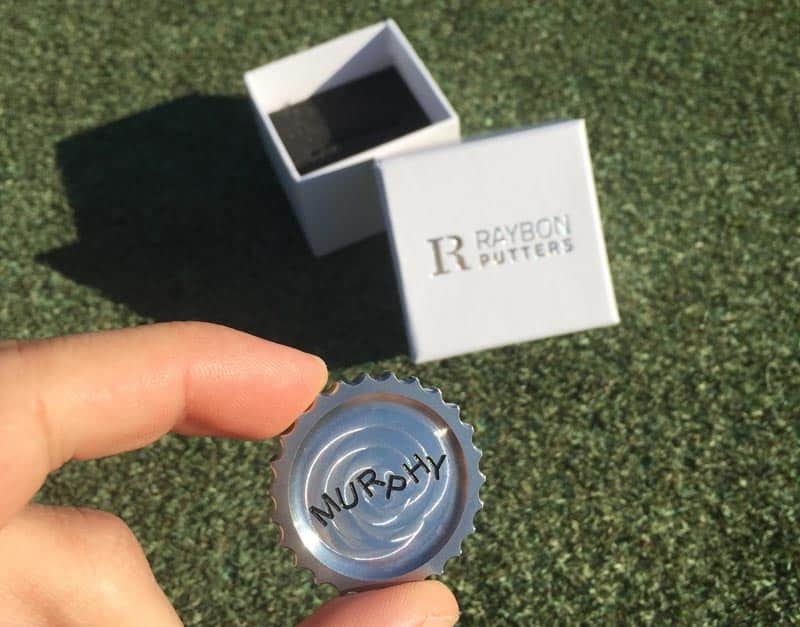 Fast forward to 2018, and we have people spending big money on ball markers and divot tools. Quick spoiler, I am one of those people. But it is curious to how we got here, in a marketplace that thrives on bringing mass-produced items to consumers at a fraction of a cost due to mass production/cheap labor cost. So during this segment, we will talk a bit about progression and what is hot in the marketplace right now in regards to custom pocket grabs. 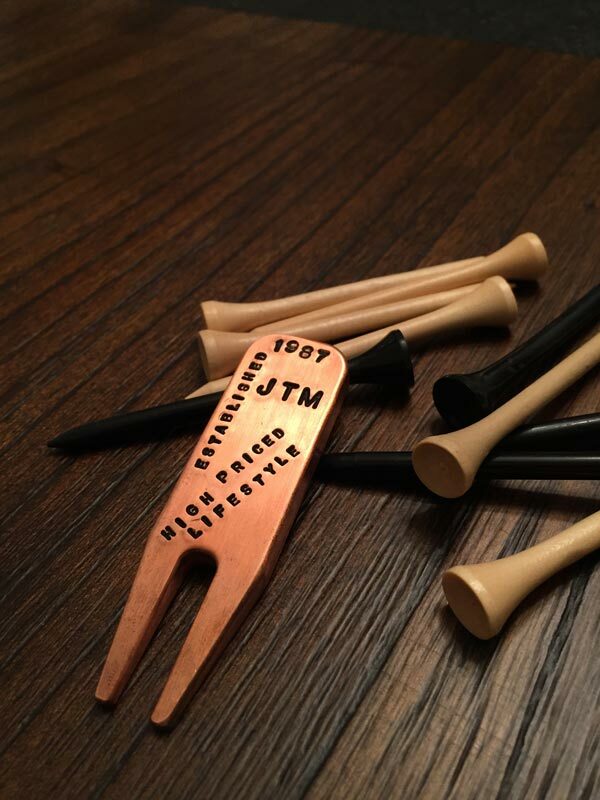 Transitioning from literal pocket change to high-end custom ball markers and divot tools took many years to transpire. But it seems over the past couple of years it has taken the golf community by storm, which I find so ironic sometimes. As the country continues to mass produce things to bring the cost to consumer lower, we all celebrate. But with this extremely niche space, it is celebrated when something is made by hand or finished by hand at least. 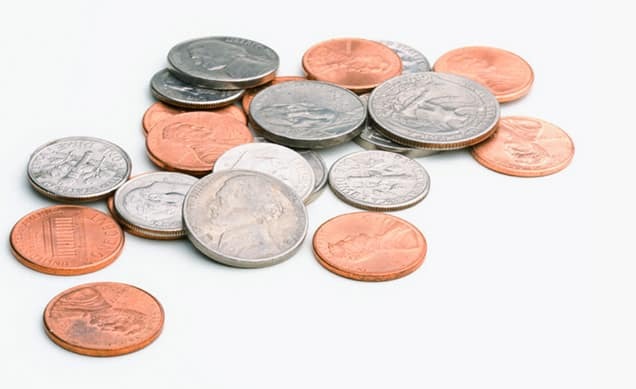 It took me some time to evaluate why this is a hot market, and I have got a couple of theories. People have been collecting things since, well, forever. 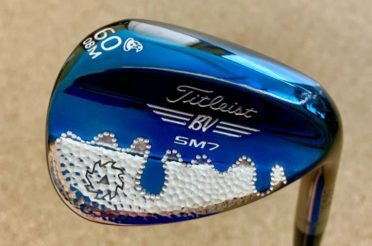 In the golf space, when you speak of handmade, custom, high end, there is always a particular price tag. This area, unless buying something second hand and rare, can be obtained with minimal investment. So from a collectors standpoint, there is an excellent barrier to entry. 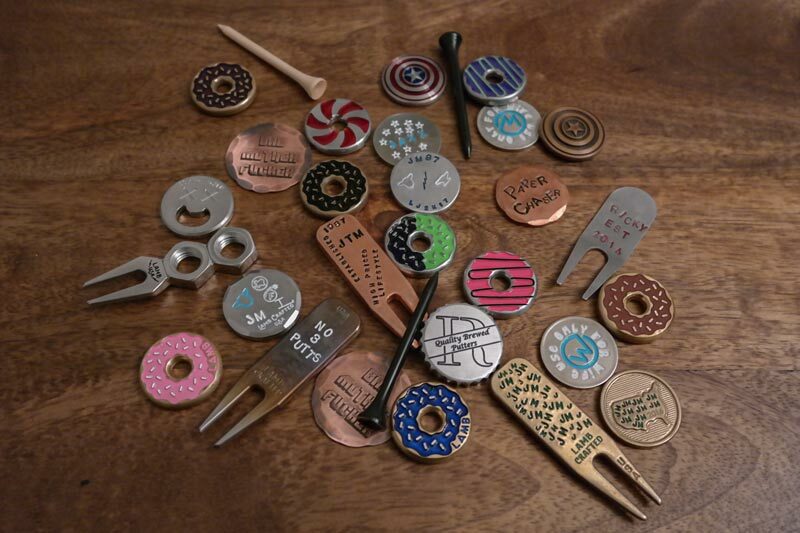 But the reality of custom golf pocket tools, these are used 18/18 holes, every round. Pending you chip in (cheers if you do) you will need to mark your ball. To pull out something you are proud of, or takes you to a happy memory, right before putting, is kinda cool. 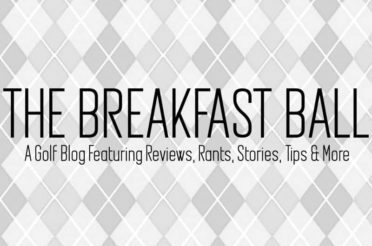 Below I will talk about some of my favorite brands out right now in this space. Coach Customs by J Orlando “takes care of everyone from the pros to the average Joe’s” can be found on Instagram exclusively. I am losing track of the companies who are running a successful business on the Instagram platform. Which I think it’s great. Knowing the time and effort Matt takes managing the logistics of our blog, I am sure sometimes he wishes we could successfully deliver our content via Instagram only, but if so, you wouldn’t be enjoying this post right now. 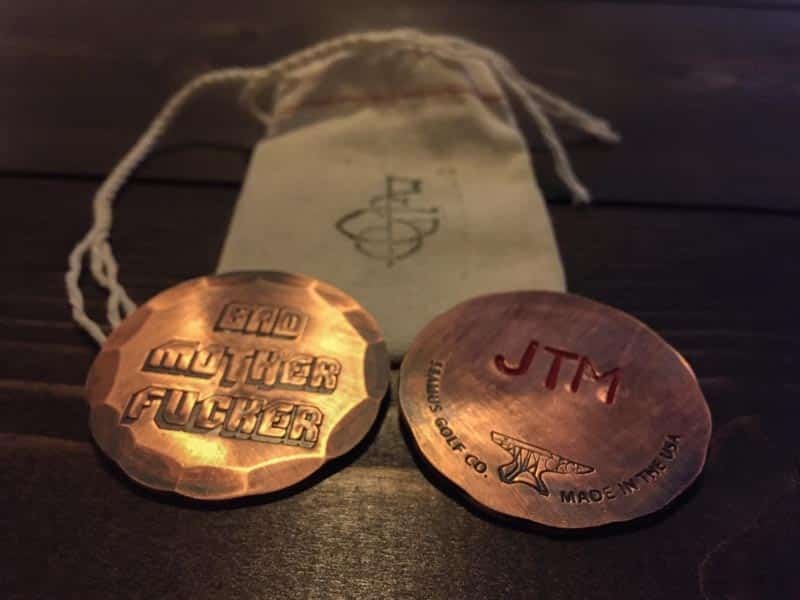 I digress, Coach offers all hand stamped ball markers, along with weld designs and torching techniques. He is also on the more artistic aspect of these hand finished markers. 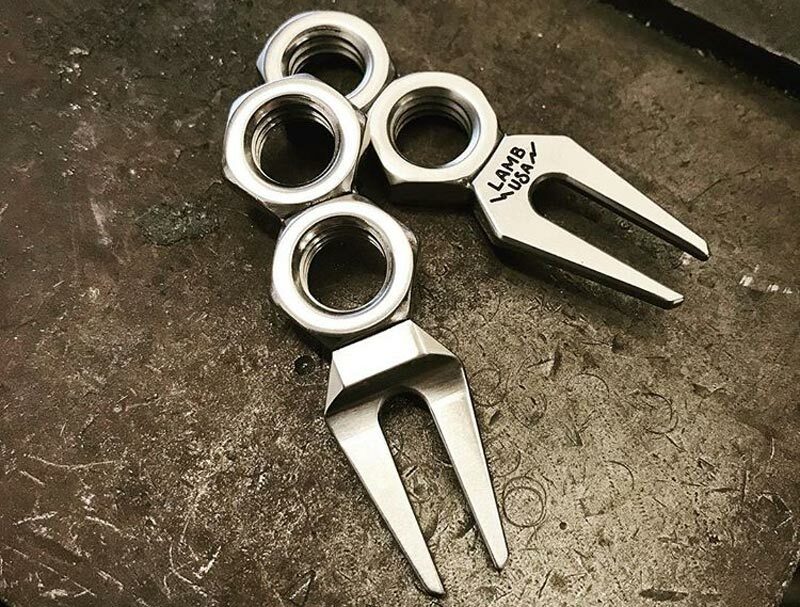 As you scroll through his Instagram page, you will notice some creative pieces made for both everyday golfers, as well as some tour players, and even PXG staffer player Paige Renee. 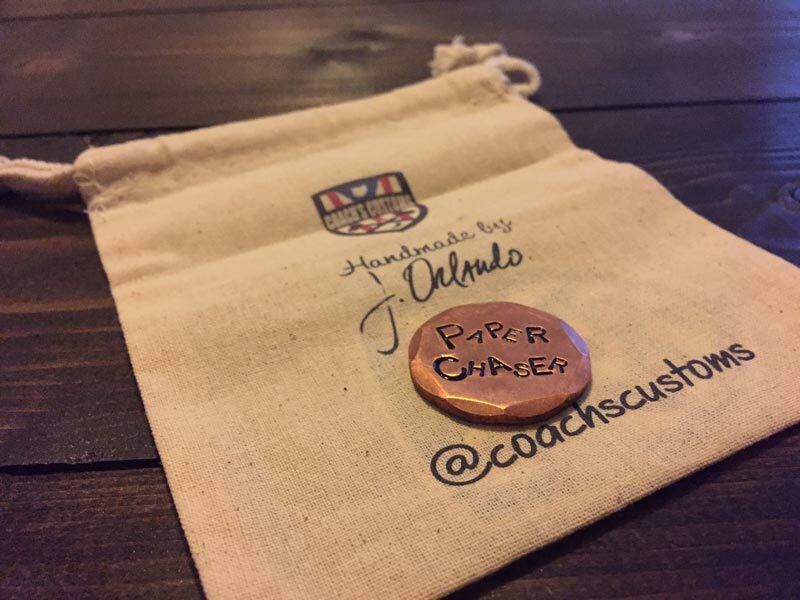 Coach Customs starts at around $30 and up depending on customizations. Again, find him on Instagram and drop him a line for pricing and customizations request. 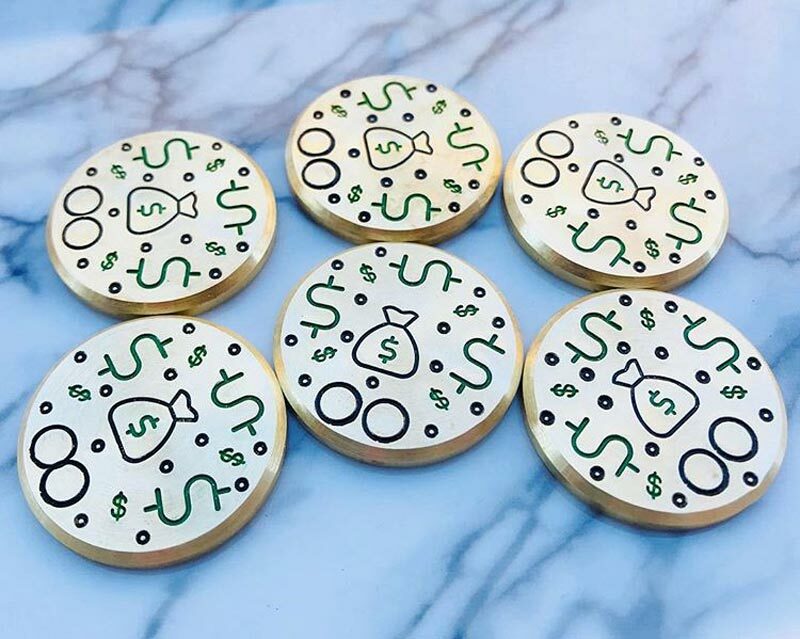 A refreshing dose of class and originality, Johnston Gray Designs out of Charlotte is bringing some excellent ball markers and bag tags to market. 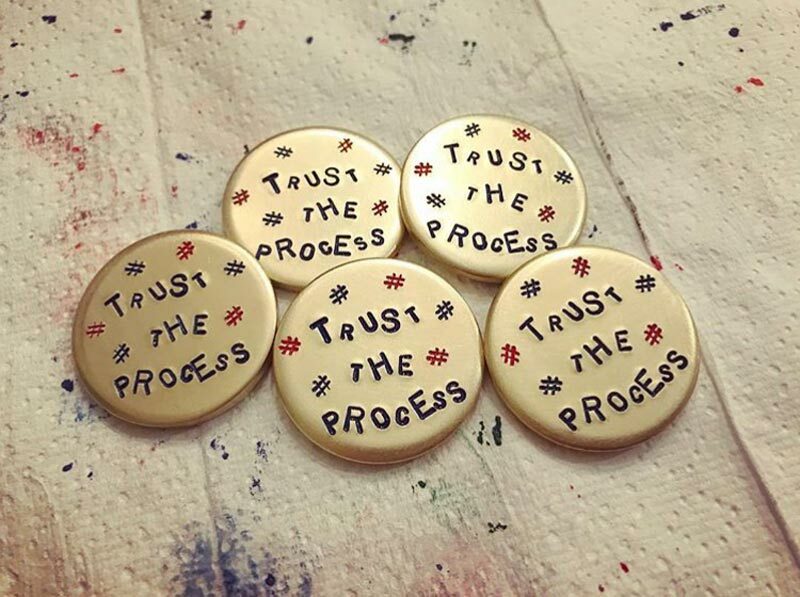 Like others, these are all hand stamped so each piece ordered will be slightly different than the next. And honestly, from one maker to the next, as stamps and metals all produce different outcomes. Johnston Gray has some great brass offerings if you are into different metals. They offer different levels of customization on blank markers. Or, you can just add your initials to a design they already have available. The bag tags are the next level of cool. Currently sold out but I understand that it is only a matter of time before inventory is replenished for those to be available again. All of their pieces are very vivid, and the stamping is deep, which is something that is important to me. I want it to look handmade but not so much that the outcome is in question. 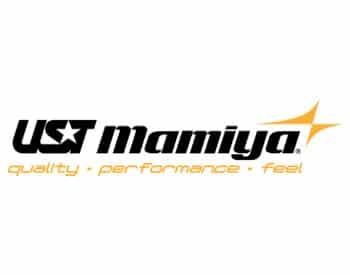 Visit their Instagram page for more information, and also their website for ordering. Pricing starts at $19.99 and up depending on what you want. Selfmade Flatsticks obviously as the name suggest, is an up and coming putter company. 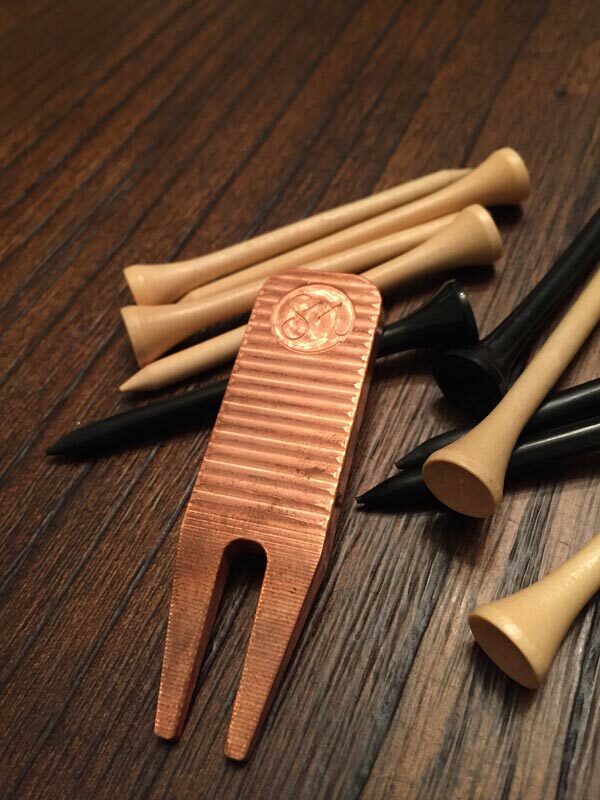 But recently have released an attractive divot tool, that allows for customization on the back. This particular piece is made out of copper, which allows for not only an eye-catching look but for nice stamp work. 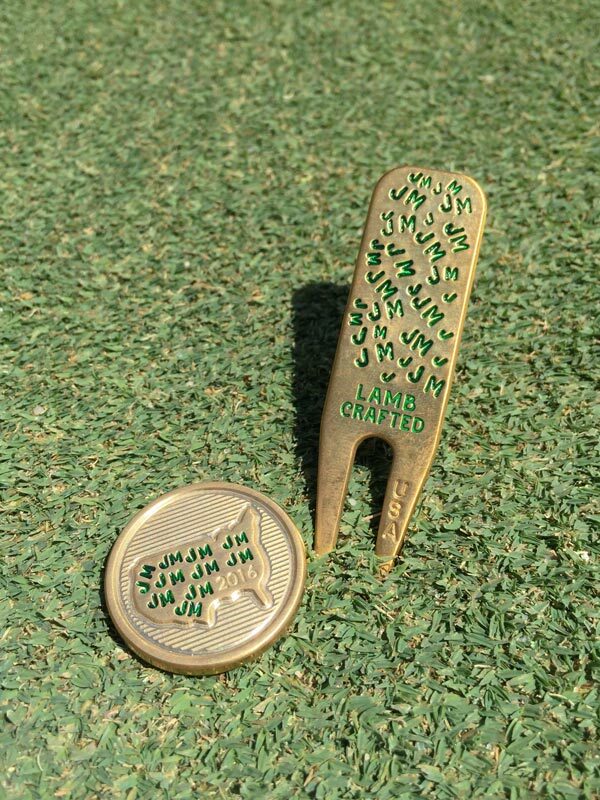 This is the first divot tool from SM, but we like what we are seeing. The front offers horizontal milling, with their logo front and center. 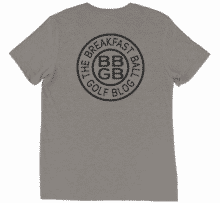 The back is smooth, which you can leave blank or add personalization. This tool can be found on their website and sells for $49. Also, follow them on Instagram for more pictures of what they are up to. Seamus Golf, based in Oregon, are true artisans of the golfer’s lifestyle. As true golf enthusiasts, they are creating the most excellent golf accessories inspired by European tradition and blended with modern lines and simplicity. 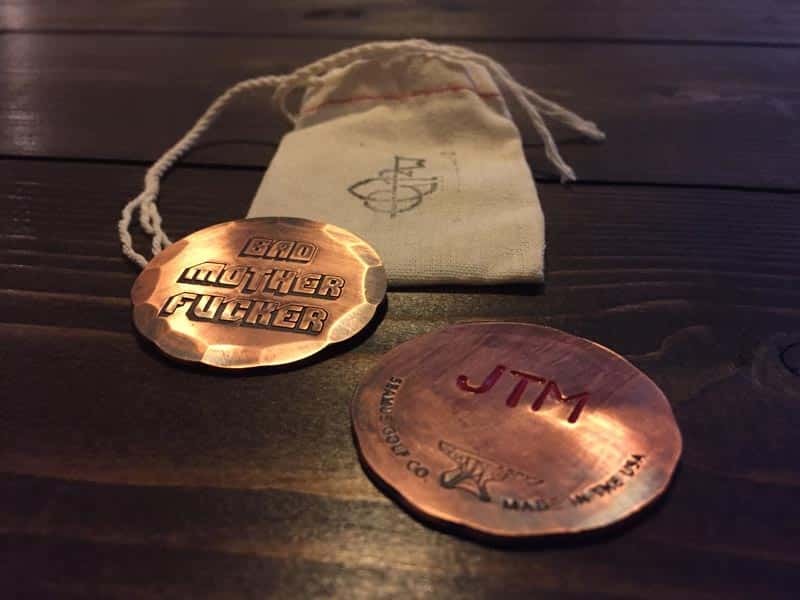 A quick visit to Seamus Golf website and you will find that out of my current list here; they have one of the more impressive selections of ball marks, bag tags, and overall accessories to outfit your game. 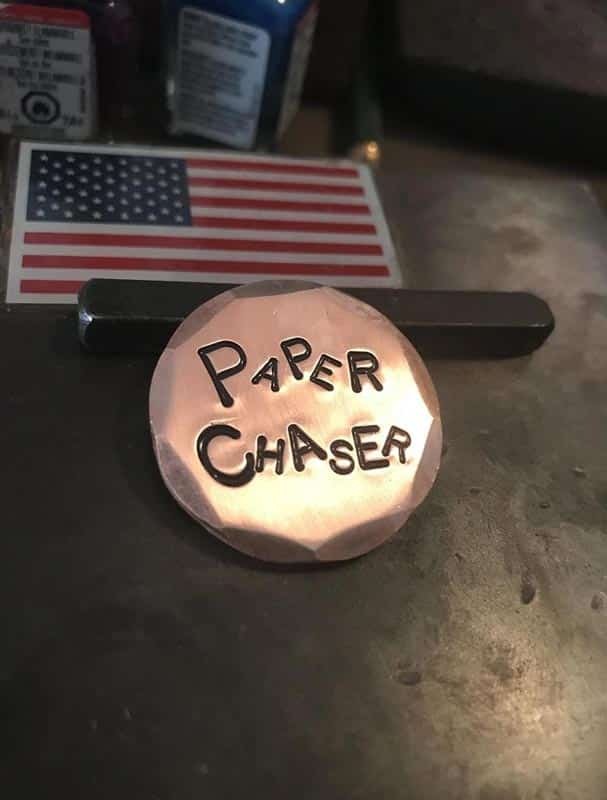 One of my favorite pieces from Seamus is the copper ball marker with one of the best movie lines of all time. See pictures below. Most of Seamus tools offer the ability to be customized in one way or another. Which as you may have noticed by now I am a sucker for. 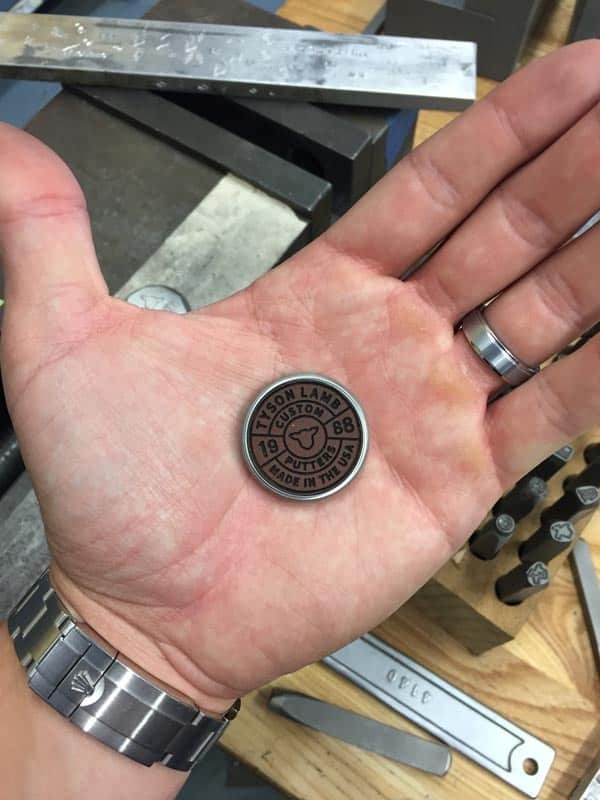 I will say the ball markers are well made but thin. 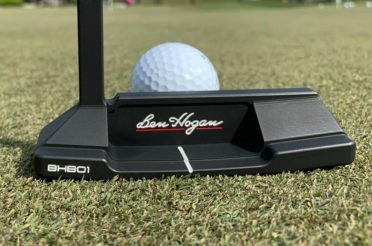 Part of me kind of likes when somebody annoyingly asks me to “move my hubcap out of their line.” Not that I want to annoy anyone before a birdie putt, but I have always enjoyed being different. 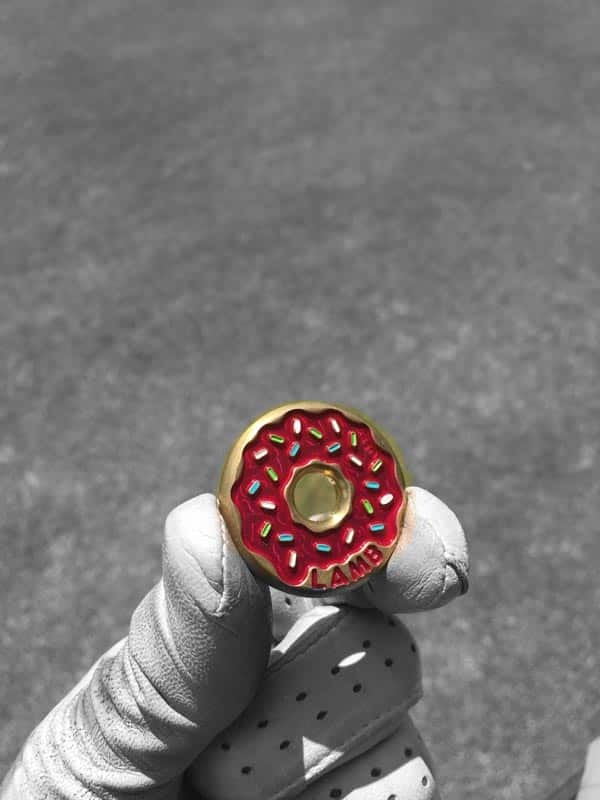 So if you would like to enter the new age, large ball markers arena but don’t want to bother anyone in your playing group, this could be your perfect option. 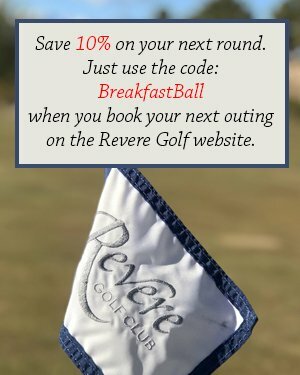 Pricing ranges on Seamus tools but all of which are pretty affordable, in comparison to other metal golf accessories. Find more from Seamus on social media, as well as their website. Many have joked that Tyson Lamb is the master for the accessory business. Currently famous for selling out releases faster than you can blink. 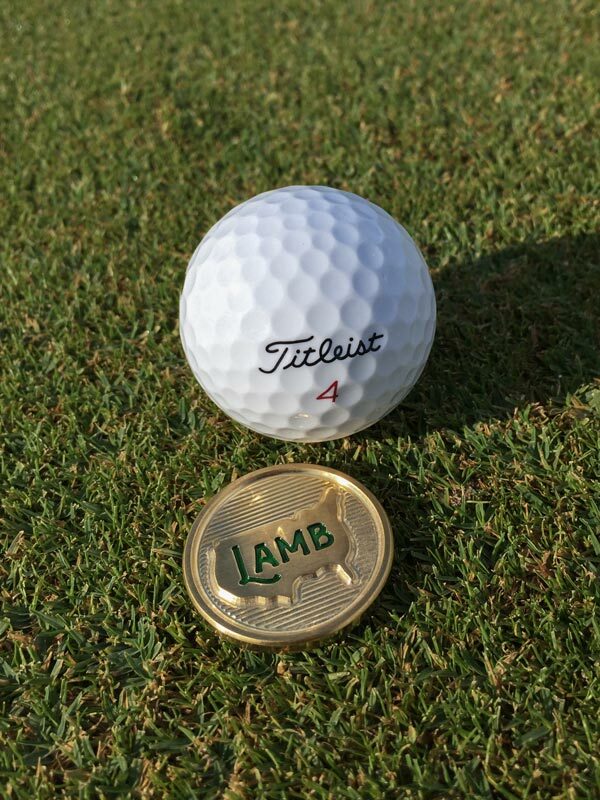 Lamb crafted owns a serious market share in the ball markers, divot tools, and accessory market. 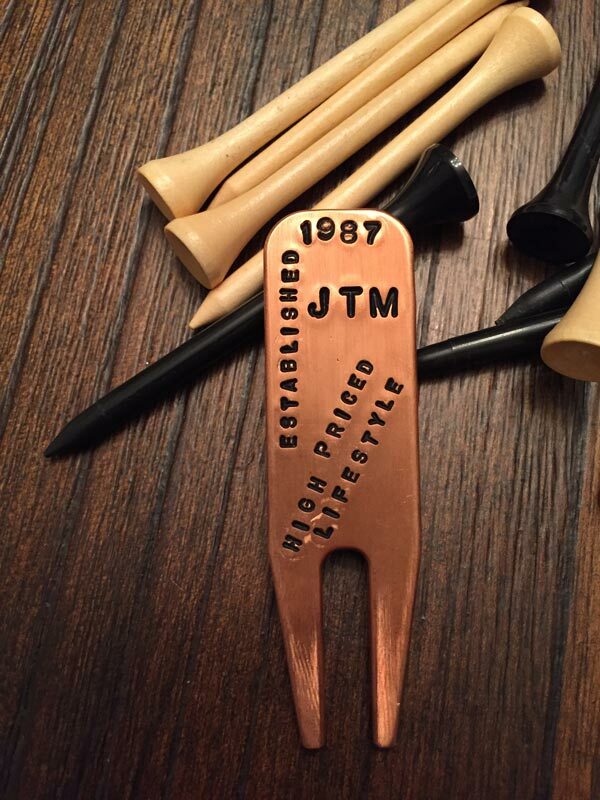 Tyson has made ball markers and divot tools collectible in a way some don’t understand. This year will be a big year for the team at Lamb Crafted. 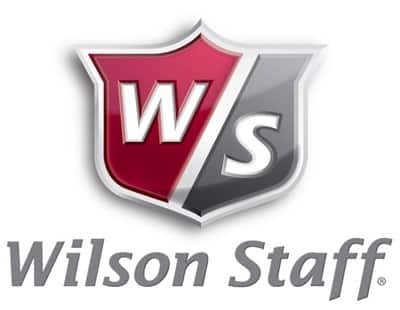 They’re going to put more putters in the hands of customers than ever before. 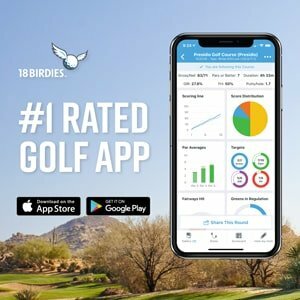 With significant changes to their operations including new machines, new employees, and what looks to be a streamlined monthly putter release. But this segment isn’t about putters; it’s about pocket tools. 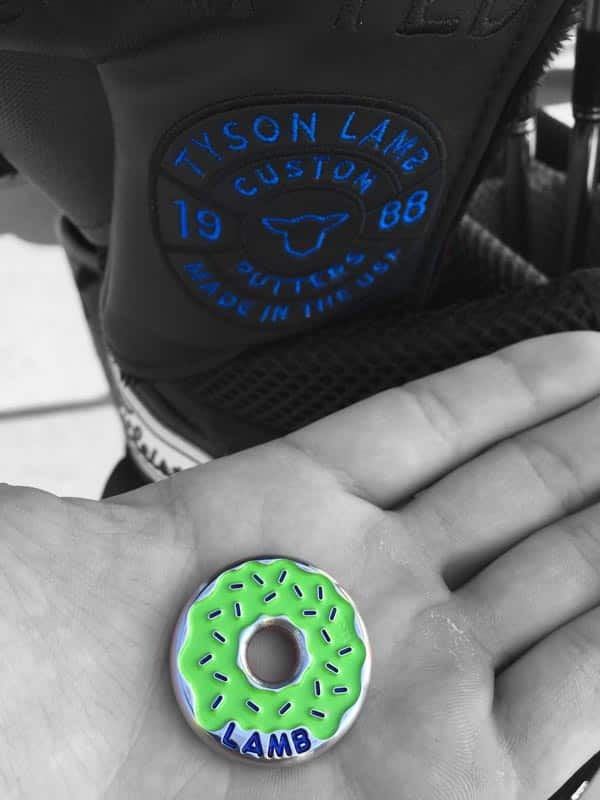 No shortage of creativity, Tyson has donuts, pop tops, Lamb logos, some with paint, some with leather, all made in-house. 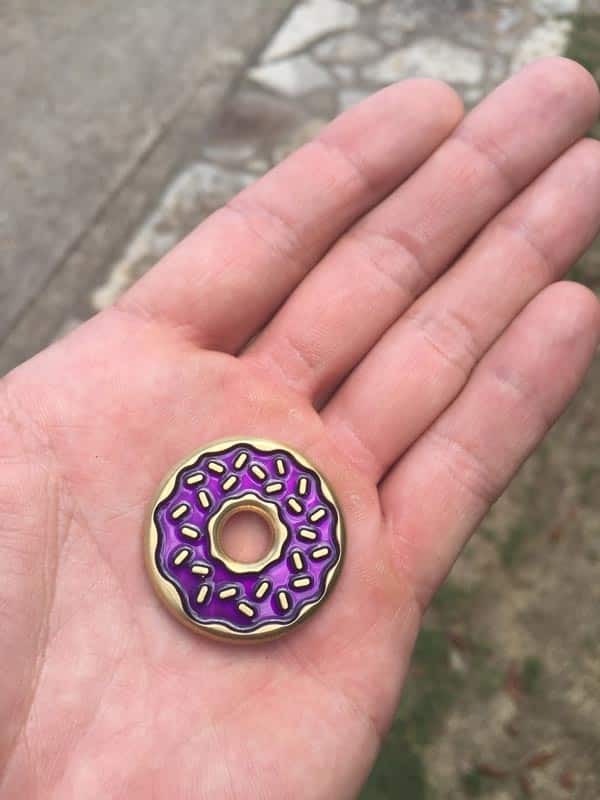 Fun fact about the ever so popular donut ball markers: did you know it takes three days to paint just one the ball markers, start to finish. If you don’t believe me, shoot Tana or Addason a note and ask. 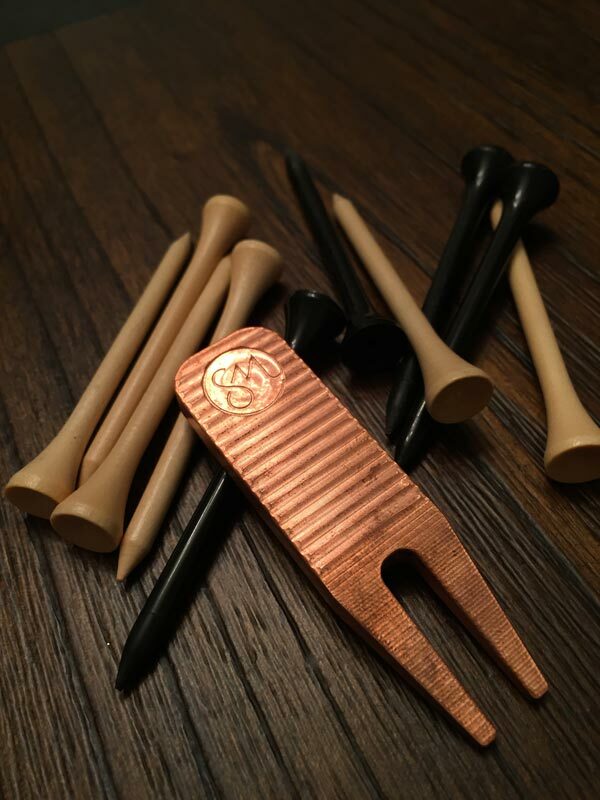 Over the past two years, Lamb has released divot tools in various forms. Long, short, solid piece of stainless, and even welded pieces of hardware. But that stance will never change the quality they pump out of the workshop. From product concept to finished product, and even packaging, Lamb Crafted has set the tone for this space. 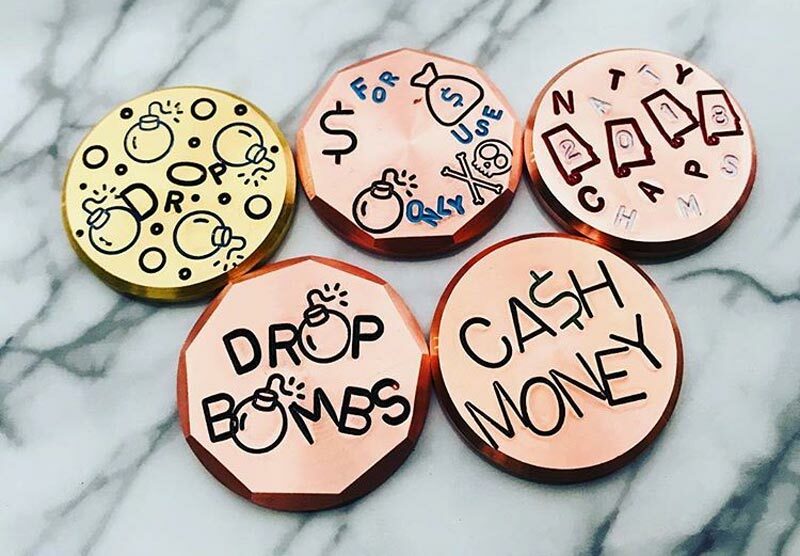 Prices range from $55 to $150 on custom metals. Make sure to pay attention to release dates, as these do sell out fast. Check Tyson and Tana out on social media, as well as his website. 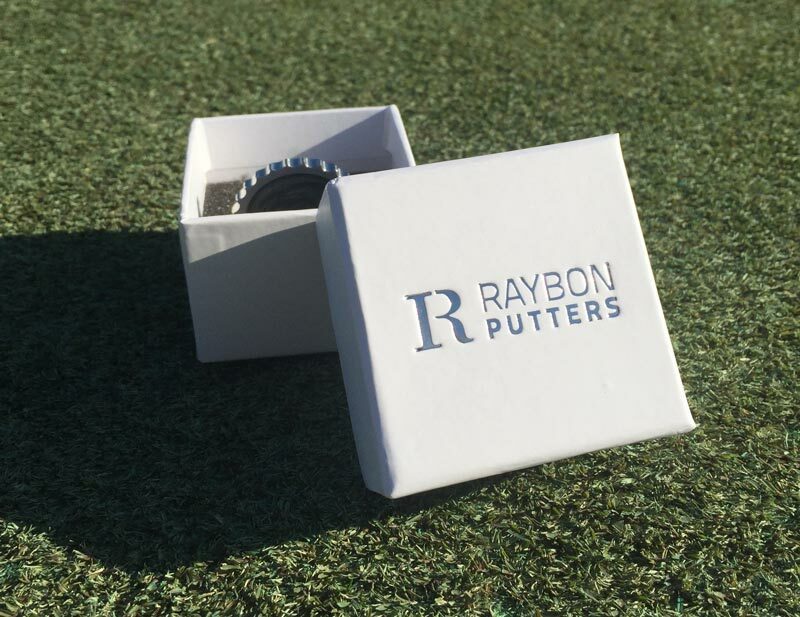 The Raybon putters company is two childhood friends, a PGA professional, and a precision engineer, both with dangerous experience in the golf world and high-end manufacturing. 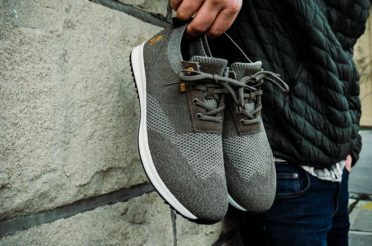 They have teamed up to create a golf brand with a unique product from across the pond. 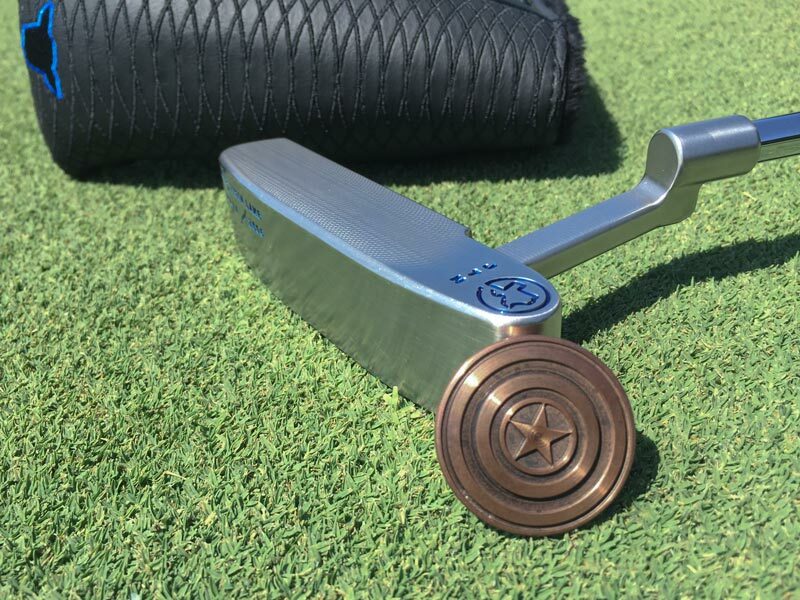 They seem to enjoy mixing metals, colors, and finishes in their putters, but again, that’s another conversation. 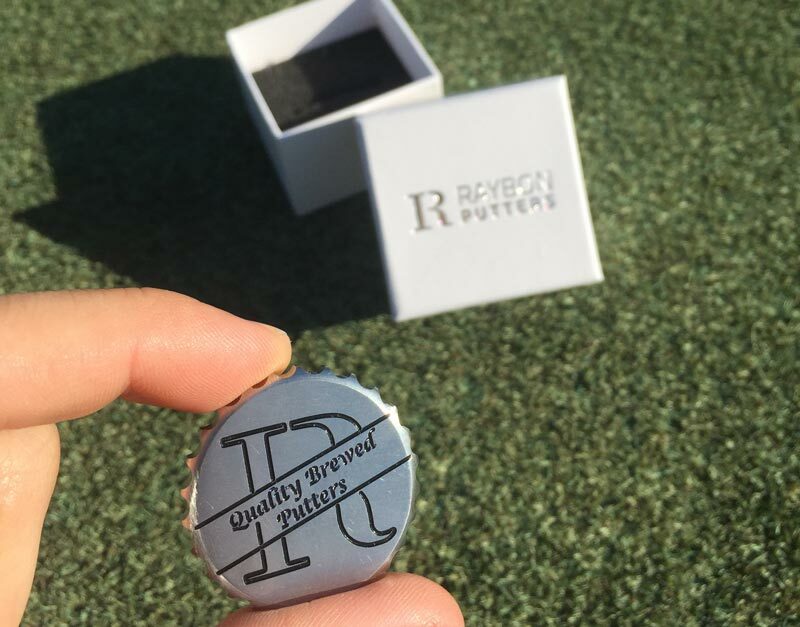 As far as ball markers are concerned, the bottle caps are Raybon’s first offering in the ball mark space. They are made with a couple of options for the script and type of metal. All are customizable, and all come with a carry case. These are heavy and eye-catching. One of my personal favorites. Be patient if purchasing in the states on shipping, but they still seem to get product stateside pretty quickly. Pricing for these is right at $49 with no additional charge for personalization. 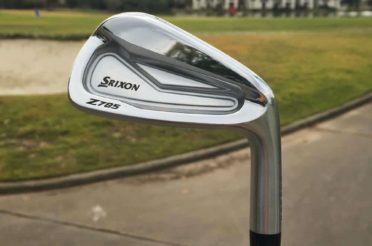 No mention yet of divot tools but I wouldn’t be surprised if that’s something that pops up in 2018. Check these guys out at Raybon’s website and social media pages; Facebook and Twitter. Below is a clickable gallery of the products featured in the article.